Badgers - June 2014 - DEVON YURTS Glamping in Style! This set of pictures was taken using our Pro Stalk 5000 wildlife camera. It can take both daytime and night time pictures using a motion sensor and infra red light at night. 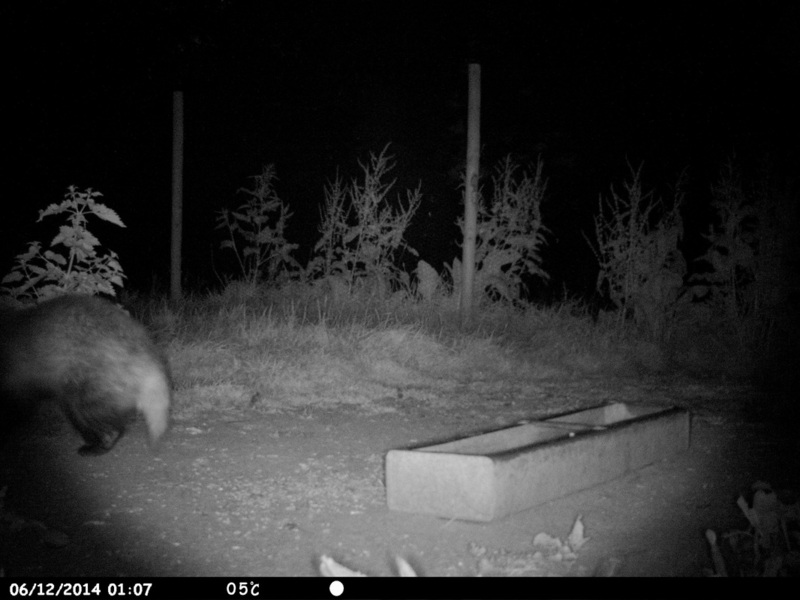 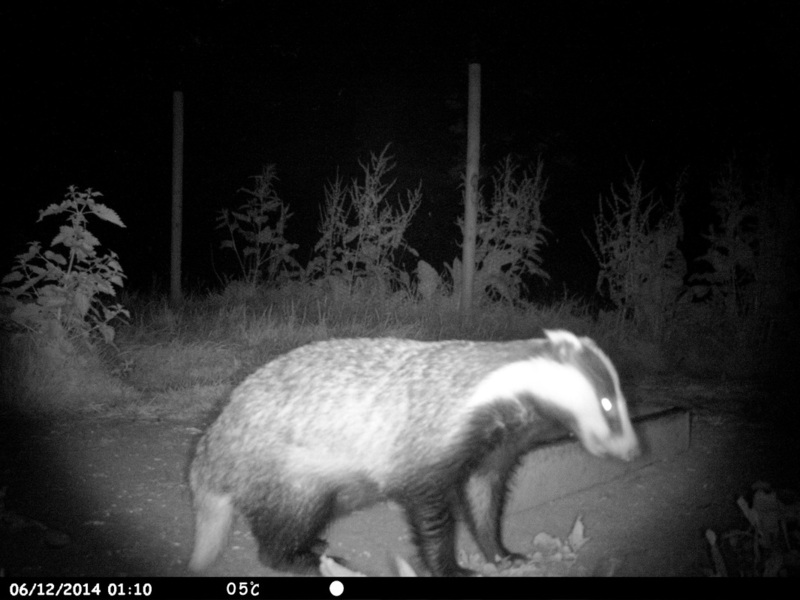 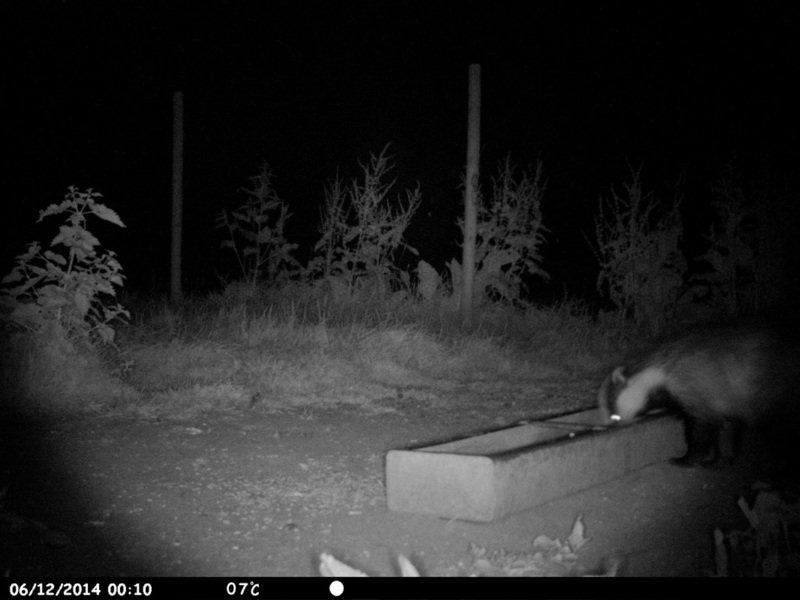 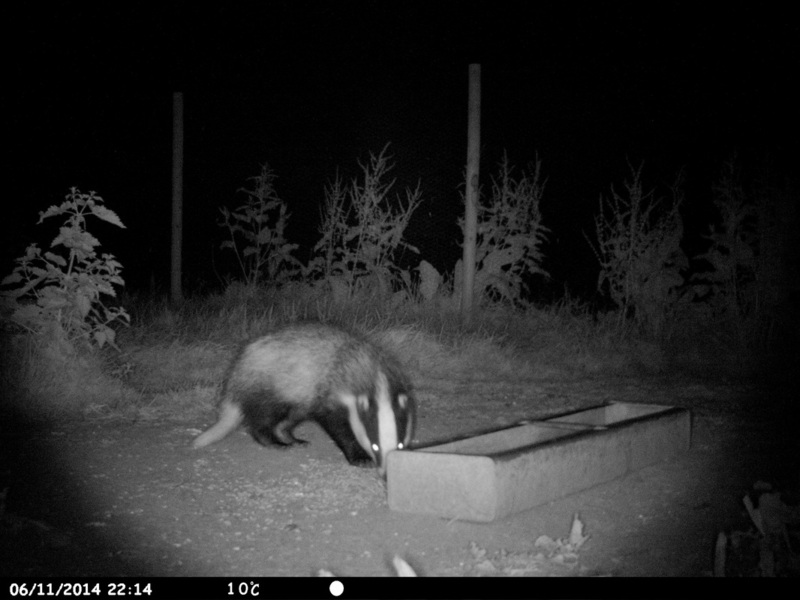 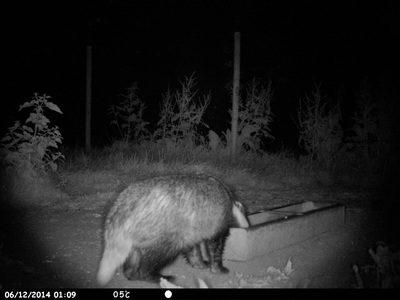 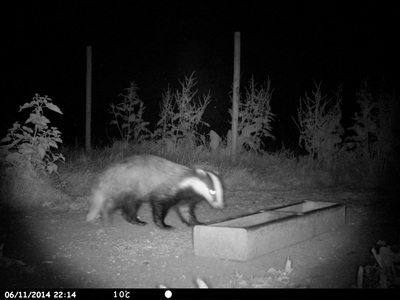 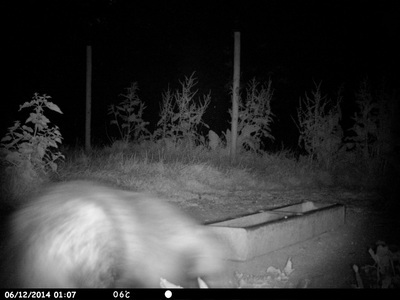 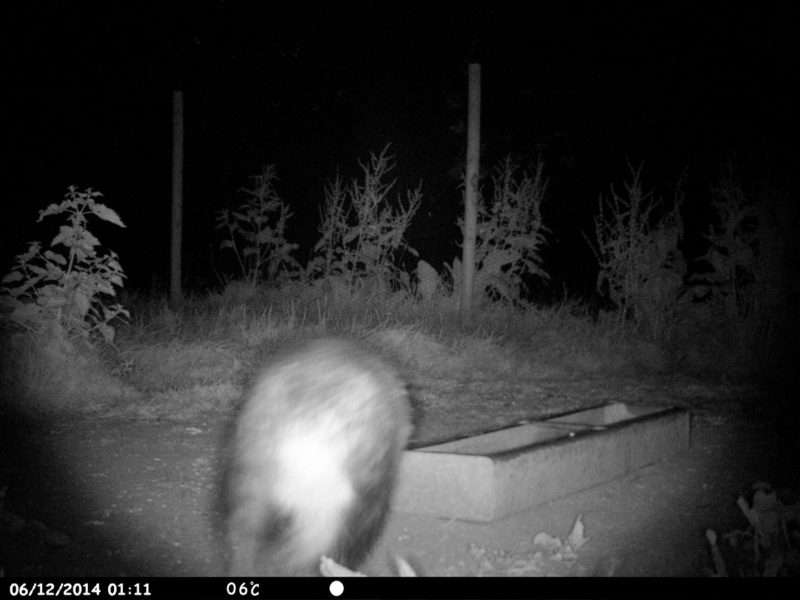 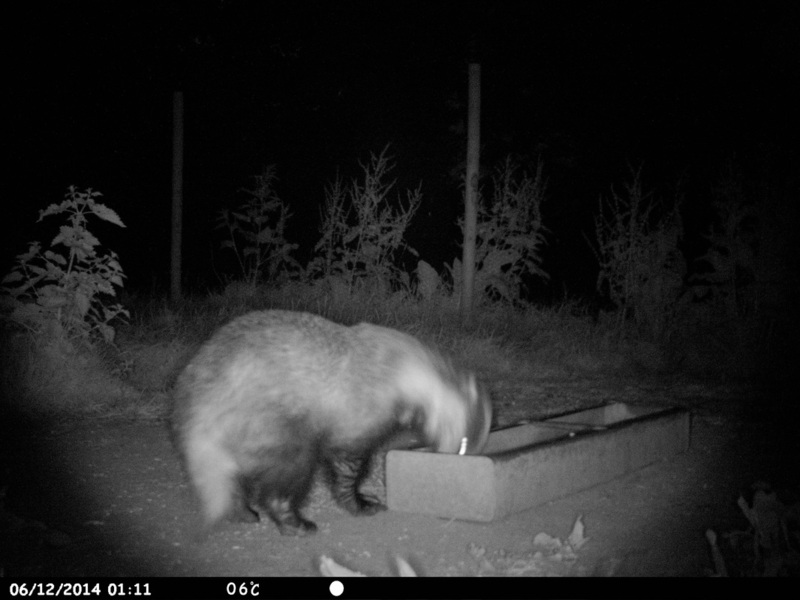 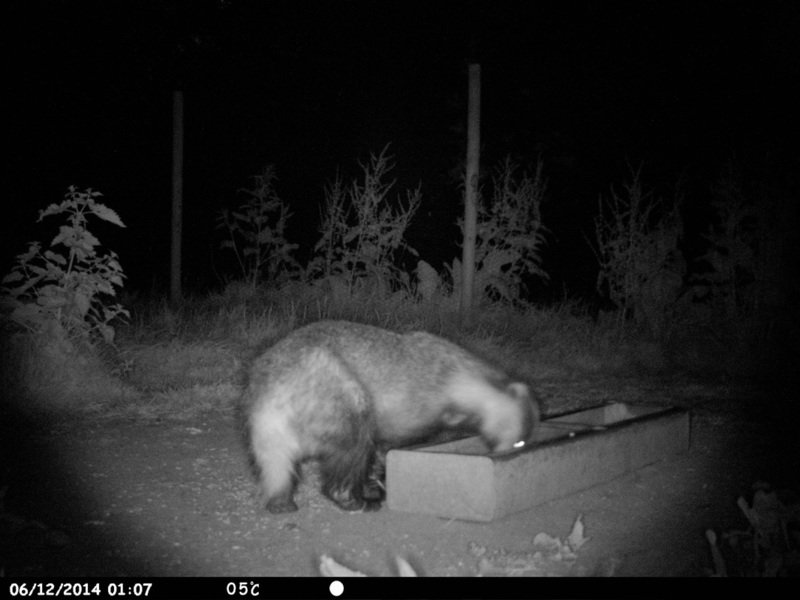 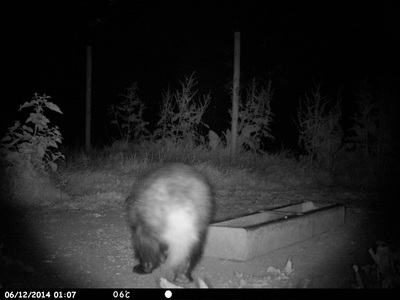 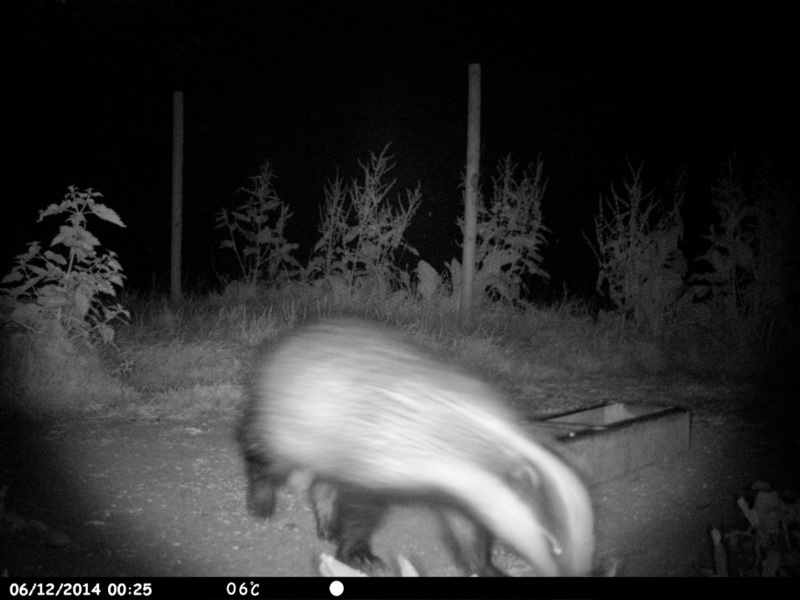 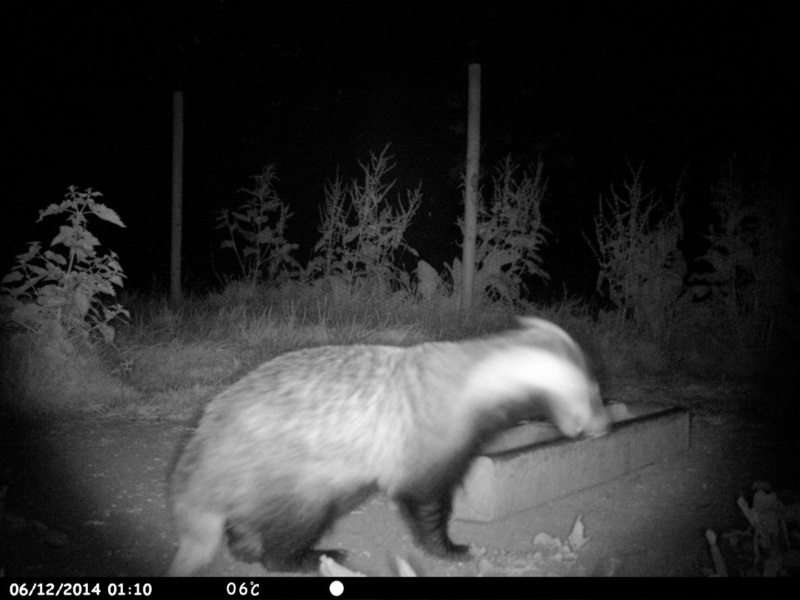 We are fortunate to capture these interesting set of pictures showing that there is a large and healthy badger population which raid our chicken run virtually every night to eat up the left over chicken pellets. 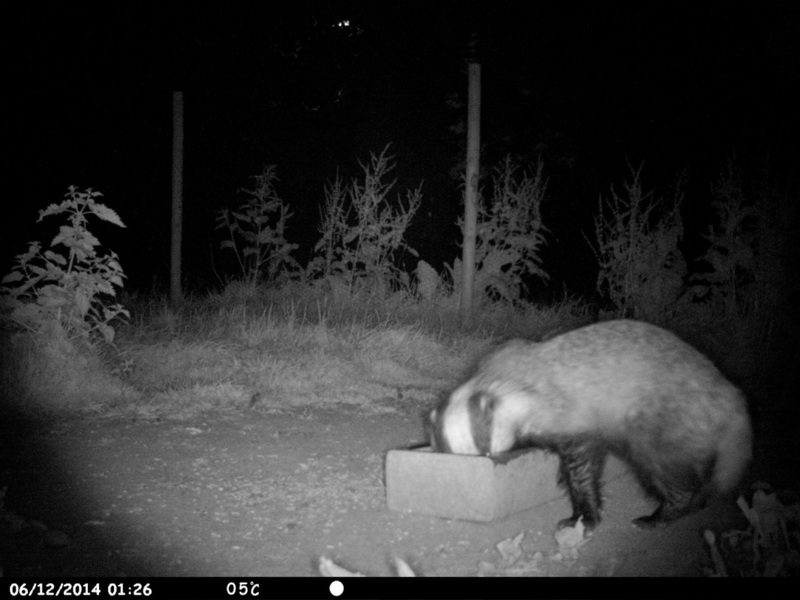 Chickens are messy eaters as they like to scratch around in their food, so there is plenty of waste for the badger to finish up at night. 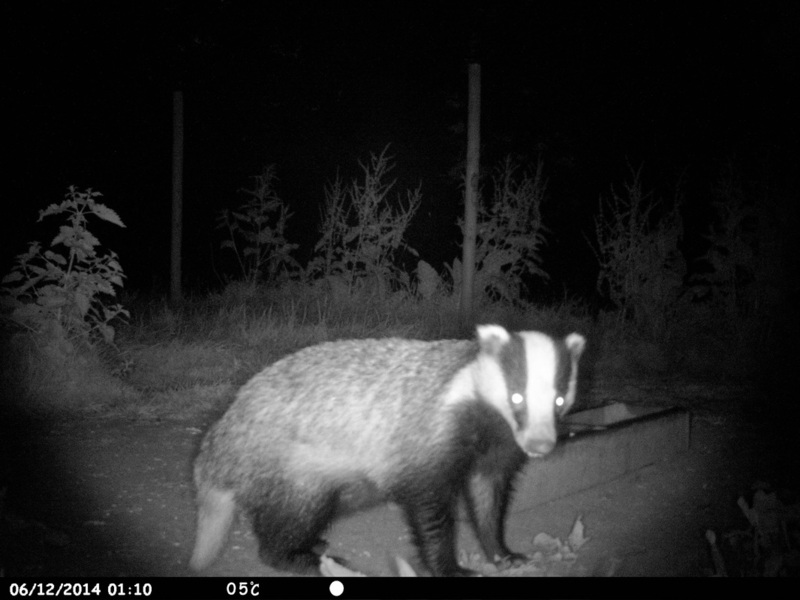 If you look at the times on the pictures you will see that the badgers come quite early in the night and then repeated visits during the course of the early hours. 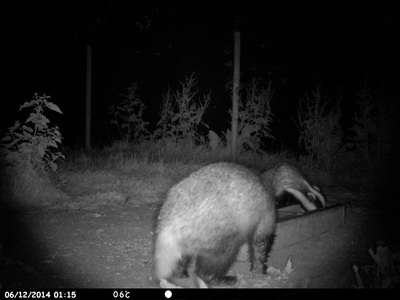 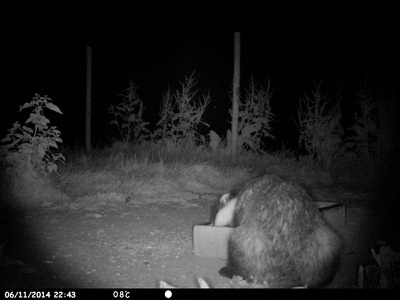 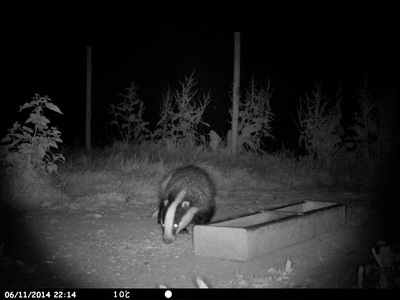 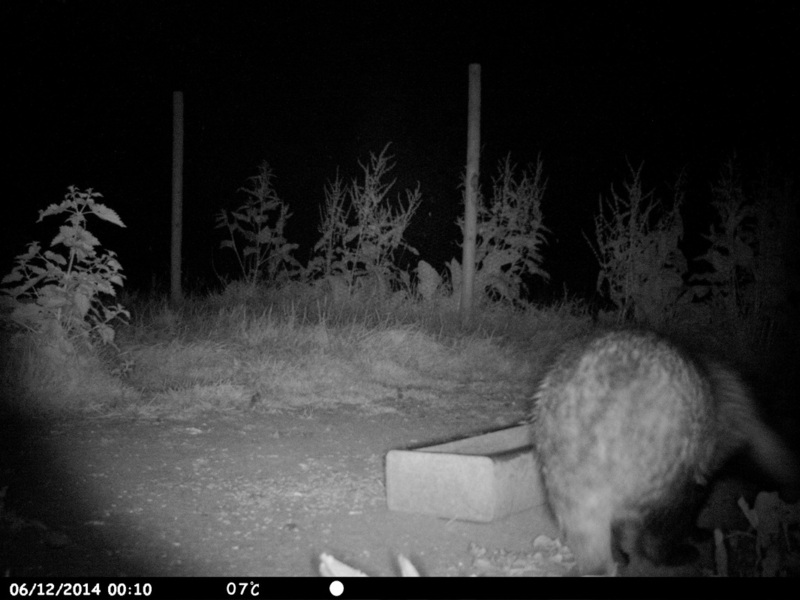 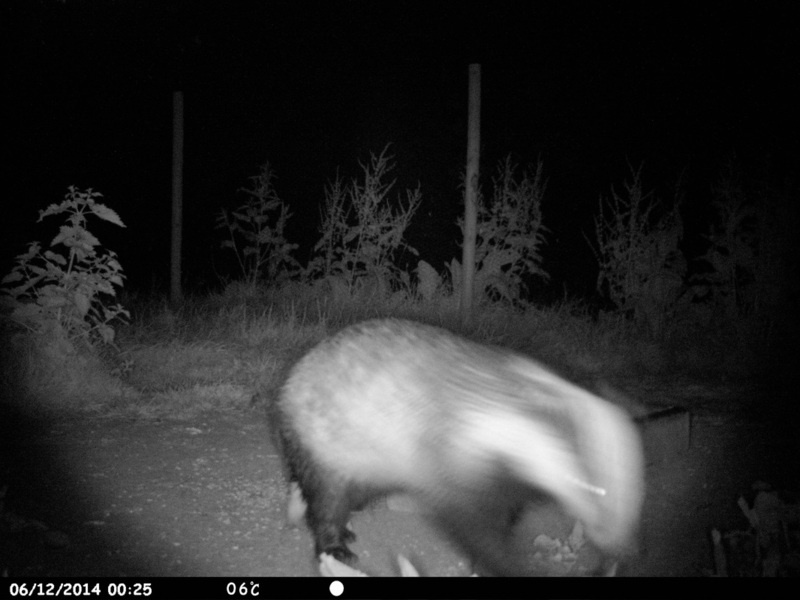 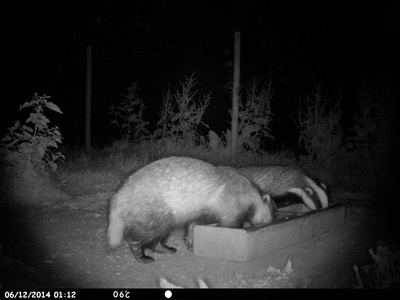 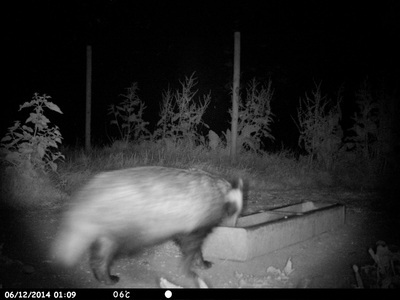 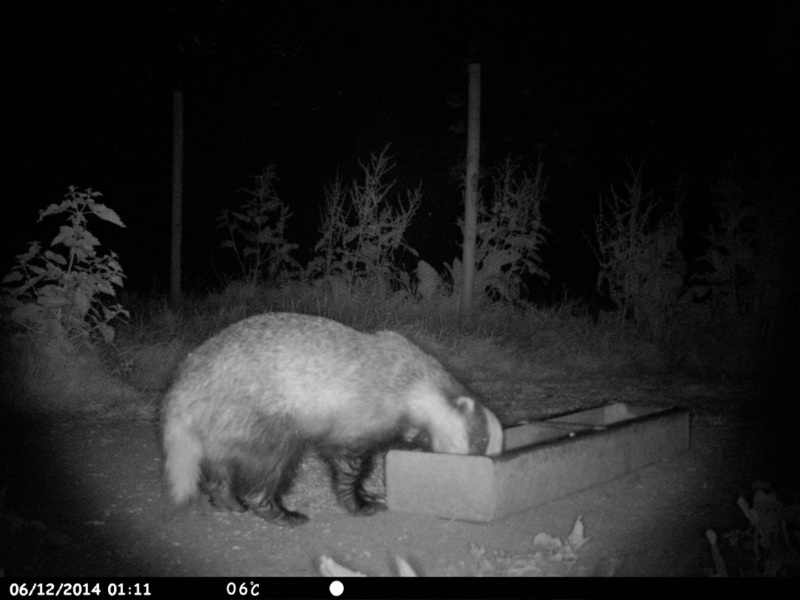 I am not at all sure if these pictures are the same badgers or as many as 6 different individuals visiting the field.